I can hardly believe that Christmas is in 2 weeks, it seems like the days are flying by with the holiday craze and there is always something to be done-or baked! 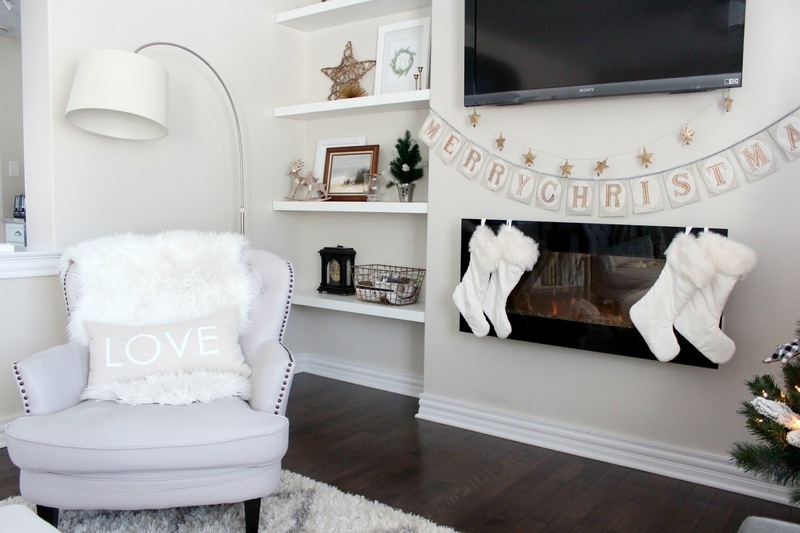 Today I wanted to share some pictures of our family room all decked out for the holidays. 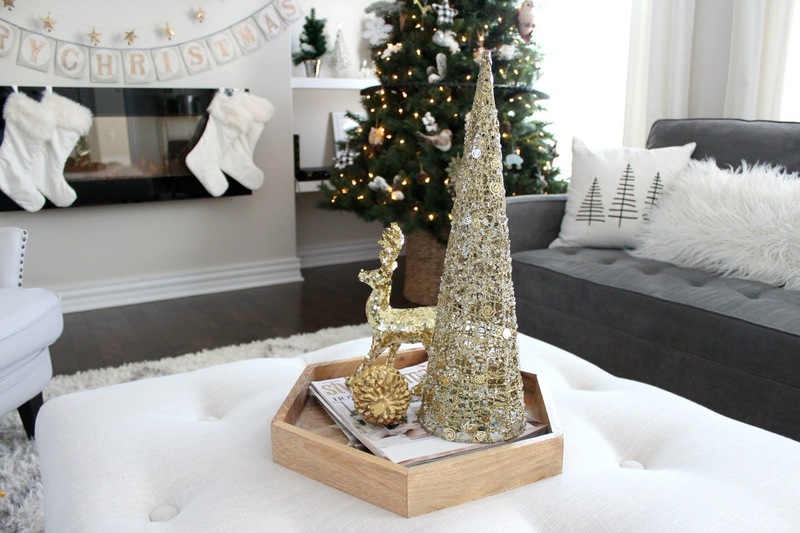 I like to keep things pretty neutral with some pops of little colours and metallic (surprise!). 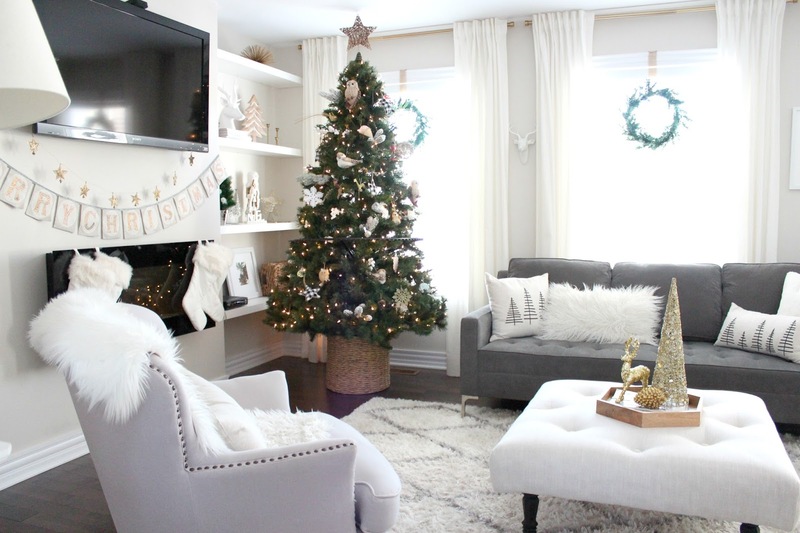 I am the type of person that starts decorating in November so I like my holiday decor to have some longevity so that I'm not tired of everything before Christmas arrives and I find that best way to do that is keep a neutral colour palette. 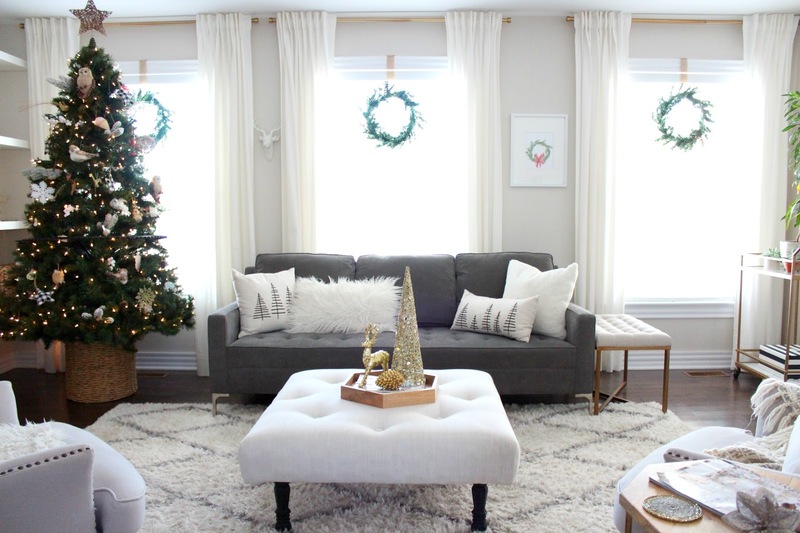 I really love how cozy our home feels around the holidays and to me there is just nothing better then being all snuggled up with my family in this room. You may notice that I swapped out our coffee table with an ottoman. My crazy little 1 and a half year old is into climbing everything so this felt like a safer set up for him for the time being. It's nice and soft and the boys love sitting on it to watch tv or play. If you follow me on Insta (shameless plug +houseofhiredesigns) then you will have seen all these beautiful throw pillows before! The lovely Tanya over at Girliture makes the most beautiful pillows and she was kind enough to send me these. It's great because along with her own prints you can create a custom pillow which is what I did with the "peace" and "love" pillows on the chairs. 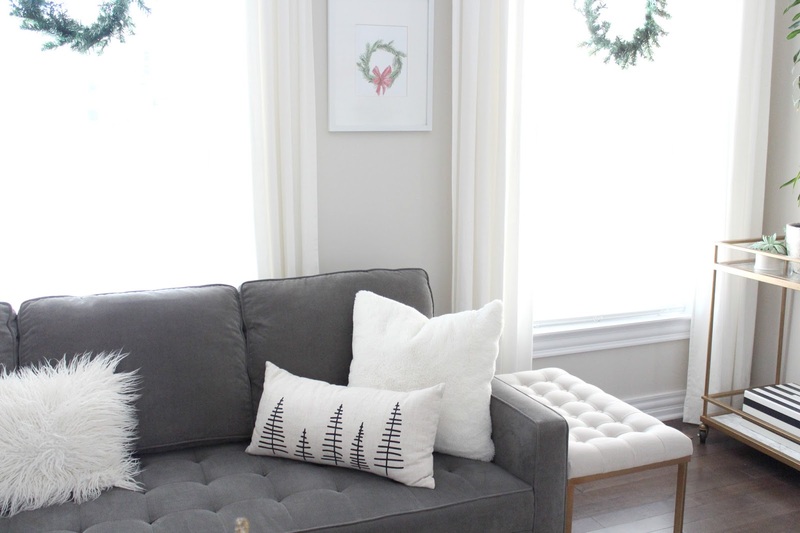 And I just love the black stick tree pillows, they are so modern for the holidays and I love how neutral they are but still have some impact with the graphic. 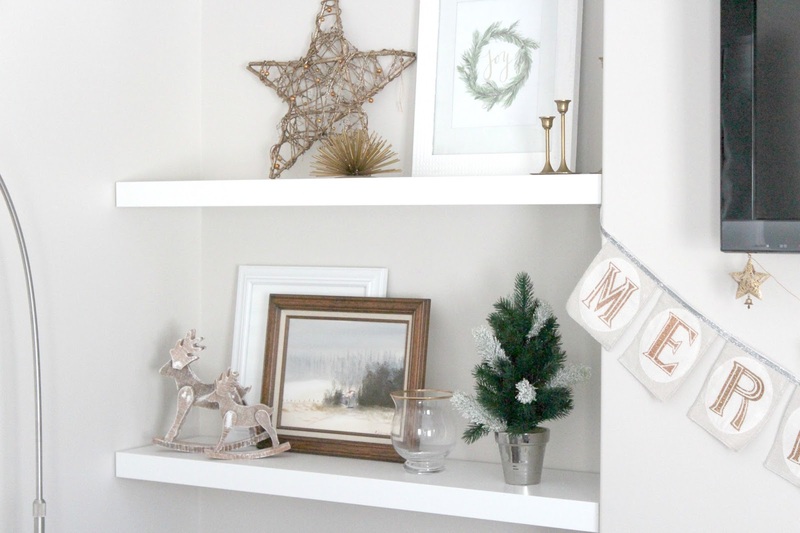 I hope you all enjoy this little home tour and are feeling ready for the holidays, and if you don't celebrate them I hope you are having a lovely month of December! I just had to sneak in a picture of June- how sweet is she! But tell me you have a play room !? !